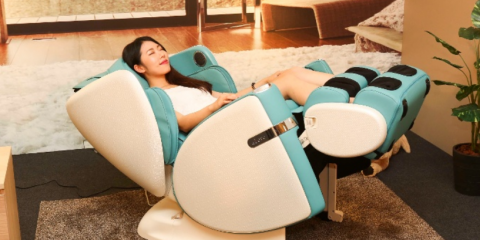 At first glance, finding a foot spa with heat sounds like quite an easy job; after all, basically every foot spa on the market has a heating element in 2018. Unfortunately, a large number of heaters are completely useless! Not only do they lack the capability to heat water from cold, but many actually fail to keep hot water hot. In fact, some heaters are so poor, they are barely capable of slowing down the natural cooling of the water. In other words, calling them “heated” foot spas is hugely misleading. Today, we take a look at the foot spas that do live up to expectation: the best heated foot spas on the market today. If having your water nice and hot helps to relax you, get one of these three spas on your shopping list. To start, just by looking at it you can see that it's a pretty well built foot bath. Other foot baths are made with cheap, thin plastic, but the Hot Spa Ultimate is clearly built to last longer than other ones. This foot spa is really good at keeping the water hot. It may not be as strong as the Brookstone Aqua-Jet (which we ranked #1) but it certainly does the job and will let allow a user to soak their feet in it for a while. A great thing about the Hot Spa Ultimate is that it has 4 different settings. My favorite is the infrared heated massage which causes the ultimate to vibrate and heat up your foot, removing tension from your feet and body. If you like a foot massage then this is a MUST HAVE! If you don't like the vibrations much there are massage rollers on both sides. You have a little more control with the motion so if the vibration is too intense/ not intense enough then you can use these rollers to get the massage you want. Overall, the Hot Spa Ultimate Foot Bath is a great option, especially if you like the different features and settings it provides. Dr. Scholl's foot spa is the best foot bath for the price. It's one of the cheapest ones available, but still gets the job done. Sure, it's not as good as other options that are twice the price, but if you're looking for a good bang for your buck then you won't find a better option here! Unlike other foot baths on the cheaper end, Dr. Scholl doesn't have a problem with being able to maintain temperature. It won't be able to heat water up much on its own, but if you can draw some hot water and place it in, it will be able to stay hot for a long time! This product comes with some extra nice touches. For example, it comes with a small pedicure kit and pumice stone. They aren't of the highest quality, but it's a nice to have these things if you didn't before and to use them after your foot bath. Additionally, the actual foot bath has a massaging pad in the middle for your feet. It's not on the base of the bath which makes it a little different from similar products, but because it is higher up in the water it makes it easier to use. This is especially true if you like to scrub your feet really hard against it since the water will not be in your way as much. Overall, this is the best foot spa for the money. It will help you relax and soak your feet for a very affordable price. It may not b perfect, but at this price you can't do better. In second place we have the Footsie Black Foot Spa Bath. Without doubt, the most stunning foot spa to look at, the Footsie has a very impressive heating element to go with it, making it one of our favorite heated foot spas. Designed primarily to be used in salons by professional pedicurists, it's no real surprise that the Footsie comes with a functional heater -- cold pedicures just don't cut it in a professional environment. The Footsie functions perfectly well as an at-home foot spa, though -- we rated it very highly when we reviewed it. The heating is, of course, what you're here for, and the Footsie could comfortably keep water hot all day. Besides that, the Footsie has an impressive vibrate function, which is great for releasing any tension you carry in your feet. If you care about style then no heated foot spa can compete with the Footsie! Ah, what can we say about the incredible Brookstone Heated Aqua-Jet Foot Bath that we haven't already said here? The Brookstone Aqua-Jet was voted our very best foot spa of all, largely down to its superb heating capabilities, which also earns it its spot here at the top of our heated foot spa review. If you're looking for a foot spa that can heat water from cold and maintain that heat all day, look no further than the Brookstone. The Brookstone offers so much more than just a working heater, though. The Aqua-Jet gets its name from the two powerful water jets that sit under the hood. Switch them on and the tension just blasts away. This top rated foot spa also includes in an intense, vibrating massage function; a couple of rollers for massaging your arches; and a quality pumice stone for exfoliating your feet. Put this all together and you've got, by far, the best all round foot spa on the market. Simply put: if you love relaxation you'll love the Brookstone. Here, we have the fantastic FootSmart Foot and Leg Spa Bath Massager. Now, in my honest opinion this spa possesses the best heating element of all -- I've only put it in third place because it's a little different to the conventional foot spa, so it might not meet everyone's tastes. Not only can the FootSmart heat water from cold, but if you're not careful the water can get too hot. That's the only heated foot spa I've ever had to say that about! When you consider this foot spa holds considerably more water than its rivals, its heating capabilities become doubly impressive. This foot spa is deep enough to fully submerge your feet, ankles and most of your calfs -- that's seriously deep. It's a unique concept, and one that will appeal to anyone who likes a deeper soak. As well as the impressive heating capabilities, this spa also has two water jets and a vibration function. It comes highly recommended by Blissful Relaxation, as seen in our full review here.